The Broome-based playwright who wrote the wonderful Australian musical play, Bran Nue Dae, later turned into a popular film, has died. Jimmy Chi passed away in Broome Hospital yesterday afternoon aged 69. Chi was born in 1948 to a Chinese/Japanese/Anglo-Australian father and a Scottish/Bardi Aboriginal mother. His most acclaimed work is Bran Nue Dae, written in collaboration with his band Kuckles, including the Pigrim Brothers, who got together in 1981 in Adelaide when they were all studying at the Centre for Aboriginal Studies in Music. But he also wrote the musical Corrugation Road, which was first performed in Melbourne in 1996. The show toured Australia, smashing taboos surrounding mental health – of which Chi had first-hand experience through his own bipolar disorder - abuse, sexuality and religion with humour and optimism. 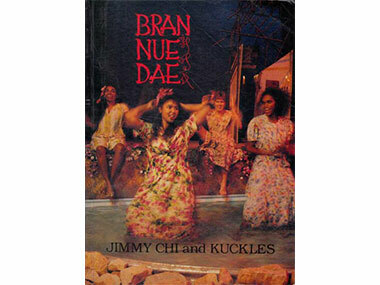 Bran Nue Dae is also an autobiographical work which took Jimmy many years to write. It celebrates family, forgiveness and reconciliation and was a hit at the Festival of Perth in 1990 where it was performed by the WA Theatre Company after try-outs at the legendary Sun Pictures in Broome. It went on to tour Australia extensively and was the country's most successful musical play of the early 1990s. The national touring of the show brought exposure to WA talents such as Ernie Dingo, Josie/Ningali Lawford, John Moore, Stephen (Baamba) Albert and a production team lead by Andrew Ross with Michael Leslie choreographing and Duncan Ord on lights. At the Perth Festival, I recall little old white haired ladies leaping to their feet at the end in happy recognition of Bran Nue Dae's accurate portrayal of Black/white relations in the West, including the valid incorporation of American pop music and the Pallottine Brothers Christianity. When the show reached Sydney, much politically-correct tut-tutting by urban elites doubted the appropriateness of Jimmy Chi's reflections. Nevertheless, the musical won a Sidney Myer Performing Arts Awards in 1990. The following year, the published script and score (jointly by Currency Press and Magabala Books) won the Special Award in the Western Australian Premier's Literary Awards. The play was turned into a film by Rachel Perkins, premiering in 2009, starring Jessica Mauboy, Rocky Mackenzie, Ernie Dingo and Geoffrey Rush. 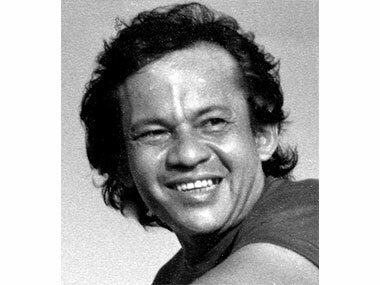 Chi won the Red Ochre Award of his peers (organised by the Australia Council) for his lifetime achievement as an Indigenous artist in 1997, and the Deadly Sounds National Indigenous Music Award for Excellence in a Film or Theatre Score in 1998. Jimmy Chi was made a WA State Living Treasure in 2004, recognising him as a creator of landmark Indigenous theatre and as an ambassador for the cultural diversity and energy of Broome. Jimmy Chi is survived by his partner and three children. The cover of the published text and score of 'Bran Nue Dae' featuring the original chorus, including Josie Lawford on the right.